My oldest (5yo) LOVES fishing, and this summer has gotten to the point where he can bait his own hook (including ripping the worm in half), and removing his own hooks. It's pretty amazing. 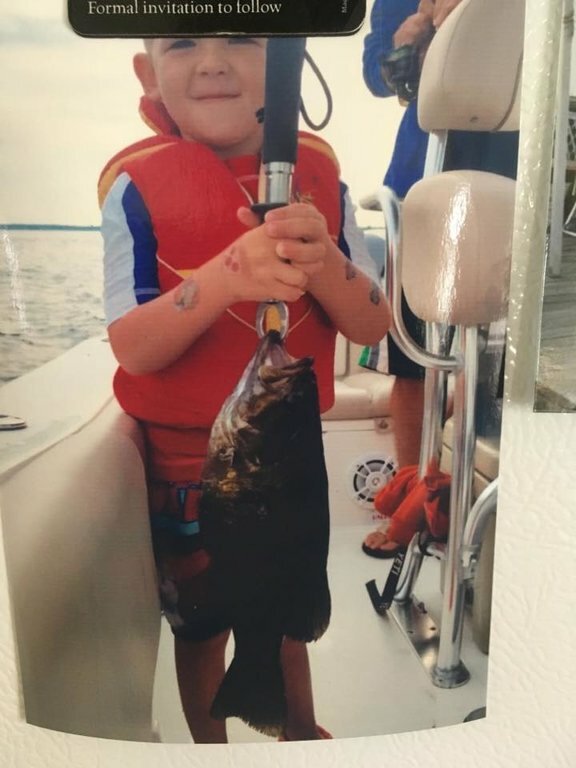 He's obsessed with fishing, and catching anything and everything, especially bass and pike (he's only seen pike, never caught them). On our yearly 2 week vacation to the river, he asked one of our friends to take him out fishing, and he 'caught' this nice smallie. He also helped reel in a beautiful 6lb smallie. The picture is hanging on our fridge, and he shows it to everyone that's willing to see it. That's totally awesome camper4, my girls I had up when they were 5 also and had been avid angler in our streams just like your little man they caught nice smallies. It only gets better with age!! This year I had them on the big pond and they got a taste of what the lake has to offer. Now like your son every weekend they want head north. You will have memories for life, congrats on the nice smallies. Heck I haven't been able to get past the 5.99lbs with the smallies!! Fortunately for him, we're up there every weekend during the summer. He's crushing the perch on the dock. 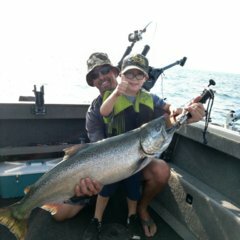 His birthday is in June, and we're going to get him a bigger pole next year, a step up from his Spiderman pole that he currently uses, so we can fish with own on the boat, rather than using mine. I hope he does. I didn't even plan to fish, and only went to help him and allow the other guys to actually fish themselves. Turns out all he wanted to do was run bait to people, and be on the boat, but he did help reel in a couple. He had fun and didn't get bored. That's the important part. That's truly awesome camper4lyfe! get'em hooked while they're young! Great pic! it does my heart good to read stories like yours. more young'uns should be introduced to the outdoors. he is making memories that you and him can share for the rest of your life. Great stuff. Memories you both will cherish for a lifetime. Good stuff! Keep up the great work man !!! Thanks guys. He's certainly turned into quite the little fisherman. 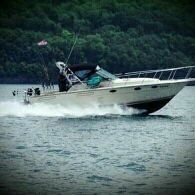 We took a drive past Canandaigua Lake last weekend and he said to me "boy I really want to go fishing" when he saw it.